When dealing with financial issues, many individuals feel overwhelmed and uninformed about their options. By seeking assistance from an experienced Connecticut Chapter 7 bankruptcy lawyer, you can explore your options for regaining control of your finances. At Volman Law, our firm is sensitive to the needs of clients dealing with the threat of filing for bankruptcy. We strive to help clients understand their rights and address the issues they are having as efficiently and effectively as possible. We value each and every one of our clients, taking the time to get to know them and their cases. To learn more about your debt relief options, contact a Connecticut Chapter 7 bankruptcy lawyer at Volman Law at (203) 929-7771 and schedule a free initial consultation. 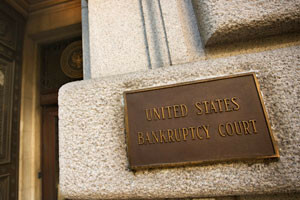 What Is a Chapter 7 Bankruptcy? Will I Lose My Assets? Chapter 7 bankruptcy, also sometimes known as a “fresh start” bankruptcy, is a way for someone who is overwhelmed by debt to get relief. It is often the quickest, most economical and easiest way to discharge debt. Through the process of filing for Chapter 7, you fully disclose your assets and liabilities to the bankruptcy court. Your assets, minus certain exemptions, go into the bankruptcy estate, which is then liquidated to pay your debts. The balance of your debt is then discharged. However, many of our clients do not lose any of their assets. By exempting many assets under the applicable laws, we are able to protect many of our clients’ possessions from being seized and sold during the bankruptcy process. In 2005, the federal bankruptcy laws changed, narrowing the class of people eligible to file for Chapter 7 by imposing certain income requirements. However, many people are still able to file for bankruptcy under the new laws. We can walk you through the process and help you understand how to qualify through the Chapter 7 means test. The means test is a formula that determines if you qualify for Chapter 7 bankruptcy by looking at your income and your expenses. You do not have to face Chapter 7 bankruptcy alone. A skilled and understanding lawyer at Volman Law can take the time to get to know you, your needs and how we may be able to help you. Contact a Connecticut Chapter 7 bankruptcy Us at Volman Law to schedule a free initial consultation.